The Mercedes-Benz E-Class has been named this year's worthy winner of the Best Business Car category in the 2016 Telegraph Cars Awards. 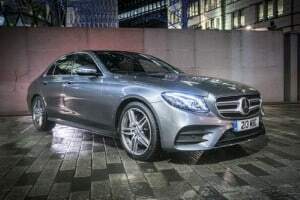 Emerging victorious in this year's highly-contested business car class, the E-Class shrugged off competition from hundreds of competitors to claim the top prize. The judging panel consisted of the Telegraph's expert Road Test Team and concluded that the attributes that helped to set the E-Class apart from its rivals were its outstanding interior – one of the best that the judges had seen this year in any category – as well as the vehicle's low running costs and the manufacturer's impressive Mercedes-Benz 2.0-litre engine. In addition, the judging team cited the "host of technical innovations" included in the design of the E-Class and the array of ground-breaking driver assistance systems that help make the car one of the most intelligent business saloons on the market today. As a result, the model was praised for its overall levels of comfort, safety and efficiency. Responding to the honour, head of fleet at Mercedes-Benz Rob East said: "We are delighted that E-Class continues to impress and has been recognised as Best Business Car by Telegraph Cars. "This is now the tenth generation of the E-Class and it boasts the efficiency, style and technology that every business user demands today."